Are you having trouble with your garage door? Are you not able to determine what the problem is? If your garage door on your home or business is not functioning the way it should, it could be because your garage door opener is faulty or because there’s a problem with the garage door itself. The problem could even be that you need garage door coil spring replacement. If that’s the case and you need garage door spring repair in the Phoenix area, contact Stapley Action Garage Door as soon as possible. Whether your garage door won’t open, doesn’t close or is totally unreliable, it can result in everything from inconvenience and loss of productivity to compromised security and an unsafe environment. Our knowledgeable and experienced customer service representatives are standing by to provide a fast response to all your garage door coil spring replacement needs. How Do I Know If I Need Garage Door Spring Replacement? Determining if a garage door coil spring is damaged is something you can attempt to do on your own, but often requires professional assistance. 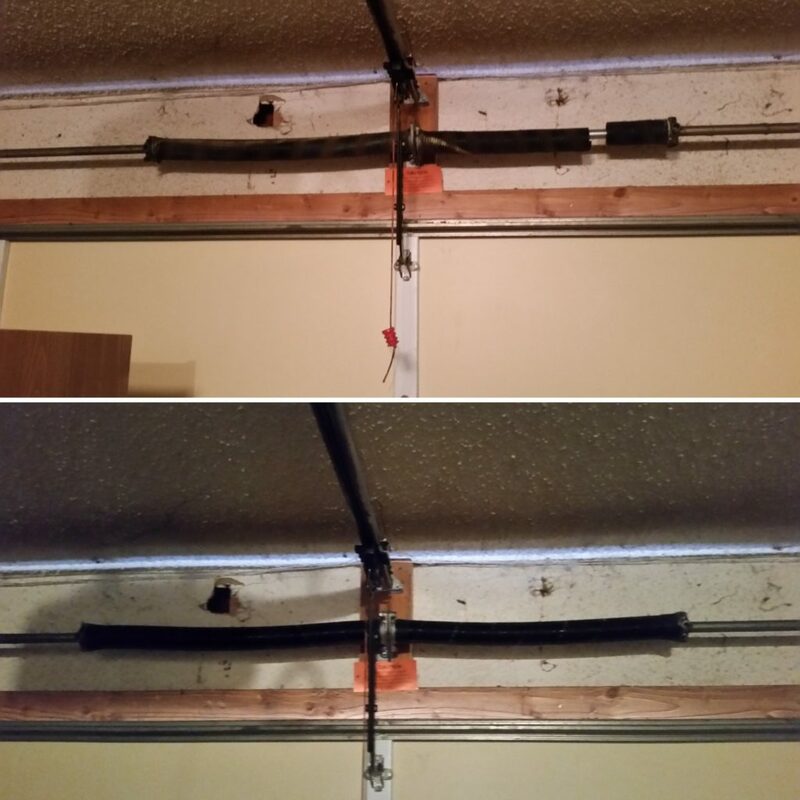 The most common garage door spring replacement needed is the torsion spring. To know if garage door coil spring replacement is something you will need, you will first have to identify the torsion spring and check it to see if it is intact and functioning properly. Typically, the garage door spring is exposed and mounted to the wall above your garage door. The garage door spring is most visible when the door is closed which is most likely the case if your garage door spring has failed. You will see a coil of wire wound in a circle. If you don’t see a coil of wire above your door and you have a Wayne Dalton torque master system, please notify Stapley Action Garage Door of this when you call for scheduling garage door spring repair. If you can physically see the spring you will be looking for a gap in the spring where it has separated from itself as pictured below. (Top picture before bottom picture after) When the correct spring is used and wound properly this is what does the physical lifting of your garage door. A lot of consumers are under the impression a garage door opener does the lifting. This is not true. If your spring is broken please stop further use of your garage door opener and garage door. Further use of the garage door opener, even if it will open the garage door, will cause further damage to your garage door opener. Although it is possible to replace your own garage door spring, it is not recommended. First, there are many real safety issues to think about for anyone considering a garage door coil spring replacement who isn’t a trained professional. It’s quite possible for you to injure yourself while attempting to replace your garage door spring, especially if you don’t have the correct tools or understand the proper procedures. Stapley Action Garage Door employs highly trained professionals who have years of experience safely removing and replacing garage door springs for residential and commercial garage doors. A broken bone as the result of a fall, aggravated back trying to lift more than you can handle or any number of other negative health outcomes will leave you regretting you didn’t call for professional garage door coil spring replacement services sooner. Another risk you take if you try to replace your garage door spring by yourself is making the problem worse. One wrong move can potentially drive garage door coil spring replacement costs through the roof. It is possible that your current problem can be repaired without having to replace the torsion spring, but if you damage it further in your attempt to fix it, it may require a costlier replacement. Or worse yet, you may damage some other part of the garage door or garage door opener while attempting your do-it-yourself repair, incurring an even greater expense. When you consider that Stapley Action Garage Door can send professionals to your home or business right away to replace or repair a broken garage door spring at a price that can fit almost any budget, it doesn’t make sense to consider doing it yourself. If you’re not sure if it will be worth the cost, you can find out right away for free. Just contact us for a free estimate. All you have to do is fill out a simple form and click to submit. You’ll find out in a short time just how much your garage door coil spring replacement is likely to cost. At Stapley Action Garage Door, we hope to find a quick and easy solution to your garage door problem. However, no matter what the problem is, we’re confident that our expert technicians can find a solution. In some cases, that will mean some other kind of repair. In other cases, it may mean you need a garage door replacement. 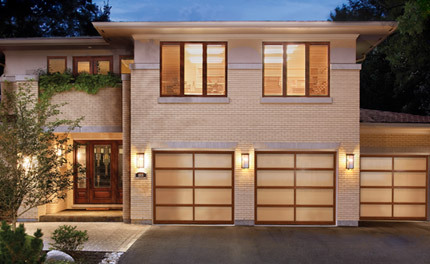 No matter what your needs are for your garage door, we have a wide range of garage door options to meet a variety of style preferences and budgets. In addition to garage door springs replacement and repair, we also fix issues with garage door openers from all leading brands. Whatever it is, we can handle it for you. Stapley Action Garage Door is the name local businesses and homeowners trust for garage door repair in Arizona including our locations in both Mesa and Flagstaff. We’re experienced working on all types of commercial and residential garage doors. It’s our goal to keep garage door coil spring replacement costs and additional repair expenses down while dealing with the problem as quickly as possible with minimal interruptions to daily activities. Contact Stapley Action Garage Door today or call us at 480-655-1255 to assist you in the repair of your garage door spring. Our attentive team is standing by to answer your questions regarding repairing or replacing a garage door coil spring. Schedule your appointment for a free estimate today!